THE PARADA SAN JUAN BAUTISTA, INC. CELEBRATES 62 YEARS OF EXCELLENCE! Patron Saint Festivals or (Fiestas Patronales) in Puerto Rico are yearly celebrations held in each municipality of the island in honor of the town’s patron saint. Like in other countries, “fiestas patronales” are heavily influenced by Spanish culture and religion, and are dedicated to a saint or virgin. The festivities usually include religious processions honoring its Catholic heritage. However, elements of African and local culture have been incorporated as well. They also feature parades, games, artisans, amusement rides, regional food, and live entertainment. The first Puerto Ricans who came to Camden in search for work and better opportunities started this tradition in Camden. They adopted Saint John the Baptist as the patron saint of Camden. Those pioneers and trailblazers were the parents of a few us that are still involved with the parade today. In 1957, a group of parishioners from Our Lady of Fatima Church marched under the leadership of its founder, Father Leonardo Carrieri. 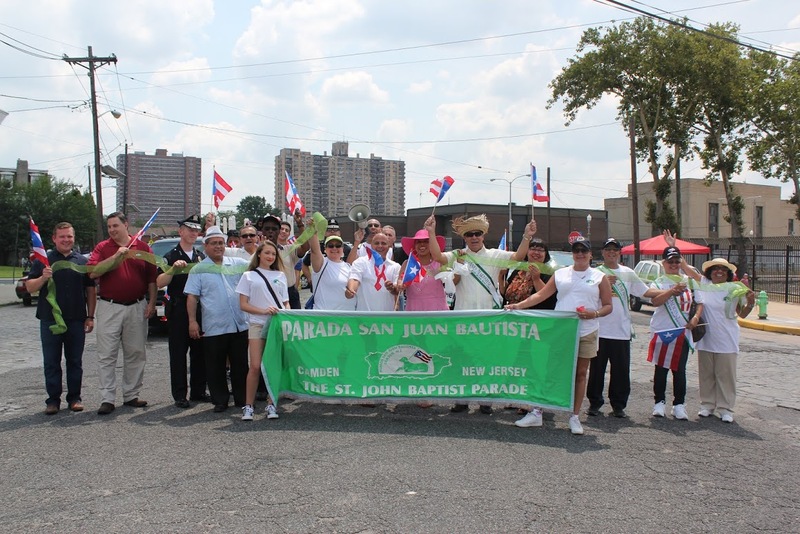 Those parishioners gave witness to their Puerto Rican heritage, culture and traditions, thus forming the Parada San Juan Bautista, Inc. also known as St. John the Baptist Parade. It epitomized the aspirations of a community in search of recognition and equal opportunities. 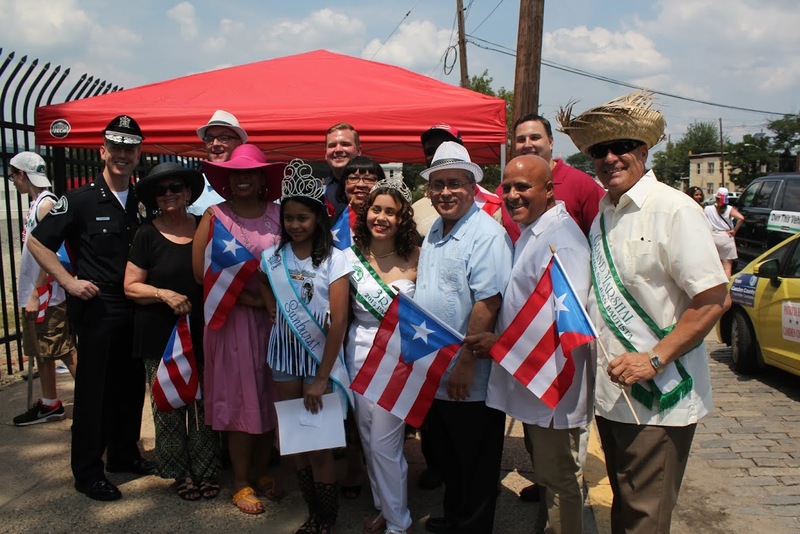 One of the main objectives of the first parade was to present a positive image of the Puerto Rican community. Congratulations to the Parada San Juan Bautista on its 62nd year of celebrating our culture with our Latino brothers and sisters. I would like to thank God for all his blessings and goodness for allowing me to have this honor to be the President of this great organization. I want to thank my Executive Committee, Juan Gonzalez, vice-president, Maria Gonzalez, secretary, Carmen Quiles, treasurer and all of my committee members and express my love to all, a special thank you to committee member Anthony Martinez for all his help and support this past year. I would like to Congratulate this year’s Grand Marshal Ian Leonard, along with all the other honorees from the Padrinos, Law Enforcement Chief John Scott Thomson, Fire Department, Business Person of the year Enrico T. Caruso Congratulations to all the 2016 Parada San Juan Bautista honorees. In closing, I would like to express my sincere thanks and appreciation to all the sponsors who continue to support our organization every year. The many activities and scholarship fund that the parade committee provides would not be possible without your continued support. “ Que viva la Parada y Que viva Puerto Rico!